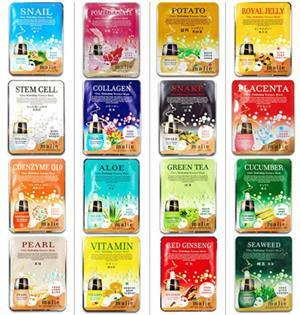 Malie products(masks) extract with EGF ingredient recovers your skin effectively and retains your skin’s nutrition. Sufficient moisture supply makes your skin healthy. The products(Masks) provides enough moisture and nutrition to skin exposed by stimulation from outside and its active component forms protective coat which helps to retain moisture on your skin. The moisturizer and softener make your skin healthy, energetic and clean with enough moisture and nutrition. We used all natural ingridients.